(CNS): Update 8:45pm Saturday — The RCIPS has confirmed that a young female pedestrian was injured when she was knocked down by a vehicle Saturday morning, 25 June, in the vicinity of The Humane Society, North Sound Way. CNS understands that the child was walking one of the dogs from the Humane Society, which was unharmed. Police say the incident was reported at 10:47amand that the child was injured in the collision and was taken by medics to the Cayman Islands Hospital in George Town, where she was admitted. No one else was injured in the collision. At 8:00pm Saturday night her condition was listed as stable with no fractures or any life threatening injuries. Any witnesses to the collision should contact the investigating officer PC 347 Kenville Holder on 946-6254 or George Town police station on 949-4222. In a release, the MLAs state that no one, not even them, can offer any guarantees in respect to jobs or possible discrimination caused by the participation in these demonstrations. Each of them has pledged to stand by victims of such retaliation and help to fight alongside them, although they did not say what form such support would take. “The truth is that, unfortunately, there are limits to the protection which is provided by law to the citizens of this country who wish to exercise their democratic right to demonstrate,” explained East End representative McLean. “Within our context, the threat to livelihood is just as powerful as the threat to one’s life or liberty in other places, and it cannot be ignored or downplayed,” George Town member and PPM Leader McLaughlin added. “While it may be of no comfort to the victim of such action to know that there are no guarantees or protections for this kind of occurrence, at the very least we pledge our support to advocate for these pioneers. For that is what they are: it is not a glamorous position, and it is one that comes with tremendous hardships and sacrifices. 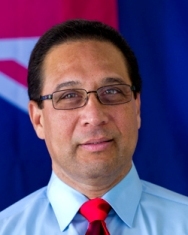 Even in the 21st century, however, that is what it will take to move this country forward as a democracy,” Ezzard Miller, the independent MLA for North Side. The protest and prayer started this morning at 9:30 at Lovers’ Wall (the proposed development site entrance, on Seaview Road in East End, to protest the East End sea port project specifically. Meanwhile, the premier is holding his own rally to protest the protests today at the Public Beach where he will be inviting the unemployed heavy equipment operators and everyone who needs work to come out Saturday afternoon and show their support for the need for development. A march through George Town to the Legislative Assembly on Tuesday 28 June at non is to be a public demonstration of concern about the choices the premier is making and the direction heis choosing in his efforts to stimulate economic growth. The dependence on mega developments such as the proposed East End Seaport, the recent decision to sign an MOU for an oil refinery, the closure of part of the West Bay Road, the fear that proposals to dredge the North Sound may reappear are just some of the concerns raised by the opposition and other groups that are taking part. The RCIPS has announced that on Tuesday, 28 June, between 11:30am and 3pm the following South bound lane will be closed to all vehicular traffic: the junction of Smith Road and Huldah Avenue (by the traffic lights) the junction of Elgin Avenue and Hospital Road; the junction of Goring Avenue and Elgin Avenue, Shedden Road near Anderson Square, Cardinal Avenue and Edward Street, Fort Street by the Town Clock and Fort Street and North Church Street by the traffic lights. All road users are urged to be vigilant and take care while using the roadways.